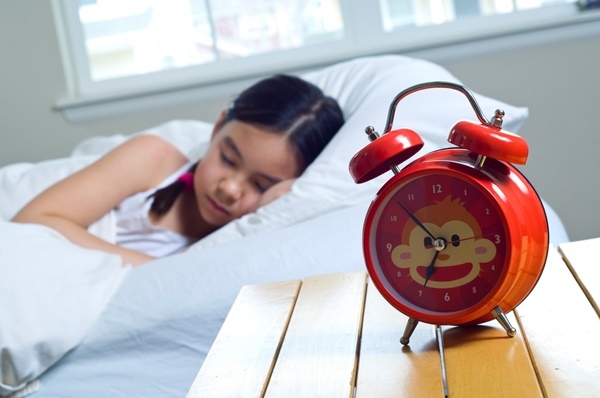 How much sleep should your kids be getting? Don't lose sleep over new guidelines on how much shut-eye your kids should be getting. CHICAGO (AP) — The recommendations range from up to 16 hours daily for babies to at least eight hours for teens. They come from a panel of experts and give parents fresh ammunition for when kids blame them for strict bedtimes. The guidelines released Monday are the first-ever for children from the American Academy of Sleep Medicine. They encompass recommendations the American Academy of Paediatrics has made at different times for different ages. 12 hours to 16 hours including naps for infants aged 4 months to 12 months. Younger infants aren't included because they have a wide range of normal sleep patterns. 11 to 14 hours including naps for children aged 1- to 2 years. 10 to 13 hours including naps for children aged 3 to 5 years. 9 to 12 hours for children aged 6 to 12 years. 8 to 10 hours for teens aged 13 to 18 years.